Join Mike for a frank and in-your-face assessment of the current state of freelance reporting. Topics will include best practices, proofing techniques, and utilizing your software to help minimize errors. Bring your sense of humor and prepare to be educated, shocked, amused, and possibly offended when “Depoman” takes the stage. Ms. Knight specializes in Crisis Management, Security and Violence Prevention consulting. She has consulted with Fortune 500 companies in the areas of Violence Prevention, Threat Assessment, and Organizational Change and Crisis Management. She responded to two US Postal Service Shootings, the World Trade Center Terrorist Attack and the Oklahoma City Bombing. She has been the Director of a MIOSHA CET Grant training numerous Michigan companies in how to develop workplace violence prevention and crisis management programs. 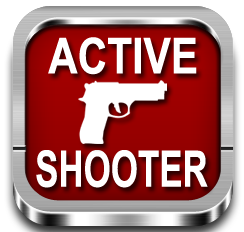 An active shooter is someone actively engaged in killing or attempting to kill people in a confined and other populated area. These horrible situations are by their very nature unpredictable, evolve quickly, and cannot be completely prevented. However, with proper training you can learn to avert and prepare for potential active shooter situations. Discounted tickets available for purchase at the front desk of Dearborn Inn on 9/17/16. Choose two attractions between The Henry Ford Museum, Greenfield Village, and The Ford Rouge Factory Tour - adults $36.50 (no limit). This is not included in your MAPCR Registration. Please indicate on your registration form if you plan to purchase a ticket so the hotel has enough on hand. The Henry Ford Museum has The Magical History Tour: A Beatles Memorabilia Exhibition going on while we are there. Tickets for that can be purchased at The Henry Ford Museum. If they are a member of The Henry Ford/Greenfield Village, the price is $5 for a ticket, and a nonmember is $26, or $24 for 62 and older, plus admission. That is a separate fee if you would like to attend at your leisure.